The Southland Competitions Society is affiliated with PACANZ© (Performing Arts Competitions Association of New Zealand). Pacanz© has its own website at www.pacanz.co.nz where you can find information about the PACANZ© organisation and which four of the eight arts covered will be featured at the next awards. Results for the Southland Competitions PACANZ© nomination classes are made available after completion of the competitions. The National Awards are not open to professional performers. "Professional" is any performer who has achieved this status by qualification or experience and whose income and chosen career require him/her to be recognised as a professional. When nominating candidates for the National Awards, Society Executives must satisfy themselves that their candidate is able to perform the programme set down in the criteria prescribed by the Performing Arts Competitions Association of New Zealand Inc.
A Nominee, once SELECTED by a Society, is no longer eligible for nomination by any other society for the same award in the same year. Nominees must be selected from a Society's Festival held within the 15 months of the National Award. Competitor's age will be taken as at 1 October 2018. See each Art for specific ages. The Southland Competitions Society has the option to nominate two people per Art (as specified above) for the National Awards. The Adjudicator will determine that a competitor has displayed the sufficient standard of performance to competently represent the Society at National Finals. A competitor who has been taught or coached by the Adjudicator within the previous twelve months of the National Young Performer of the Year Award is ineligible for nomination. The nominee must supply titles and composers of items (where applicable) in their programmes to the National Administrator by the closing date of entry, or at a time specified by the National Administrator. Titles must be adhered to in the performance. The selection of nominees for National Awards is not restricted to local competitors. The Nominee is responsible for paying part of the nomination fee to the National Young Performer of the Year Awards, i.e. Nominee to pay $175 and Southland Competitions Society Inc to pay $75 per entry. 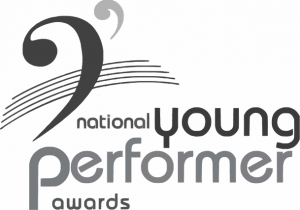 Direct Entry: Performers will be eligible to attend the National Young Performer of the Year Awards as a Direct Entry in the Pianoforte Section and Vocal Section if the Adjudicator feels they have reached the appropriate standard. The Direct Entry competitor will be responsible for paying the full entry fee, i.e. $250. Awards Prizes: The minimum Award Prize Money for each of the four Main Awards will be: Winner $5,000 tuition grant; Second $3,000 tuition grant; and Third $1,500 tuition grant. The Executive of the Performing Arts Competitions Association of New Zealand Inc reserves the right to amend the published prize money if insufficient entries (as determined by the Executive) are received by the closing date. If this situation occurs all nominees will be advised and permitted to withdraw if so desired with the nomination fees refunded. Entry Closing Dates: At the conclusion of the Southland Competitions Society Inc Festival, the Society will advise PACANZ of its nominees and pay its share of the Entry Fees. Nominees will be contacted by PACANZ and it is then the responsibility of the nominee to enter for the National Young Performer of the Year Awards and pay their share of the Entry Fee before the closing date .